Protecting, monitoring and controlling a battery system is very important to create a safe, reliable and easy-to-use system. The MG Master HV is the safety and control unit of the battery system. It protects the connected battery modules against over-charging, over-discharging, over-temperature, under-temperature and controls the balancing of the battery cells. Besides a safety function, the Master HV monitors and tracks other important parameters to give insight in the battery status and energy consumption. The compact design makes it ideal for use in applications with limited space. Power connectors enable the Master HV to easily connect a series of batteries. 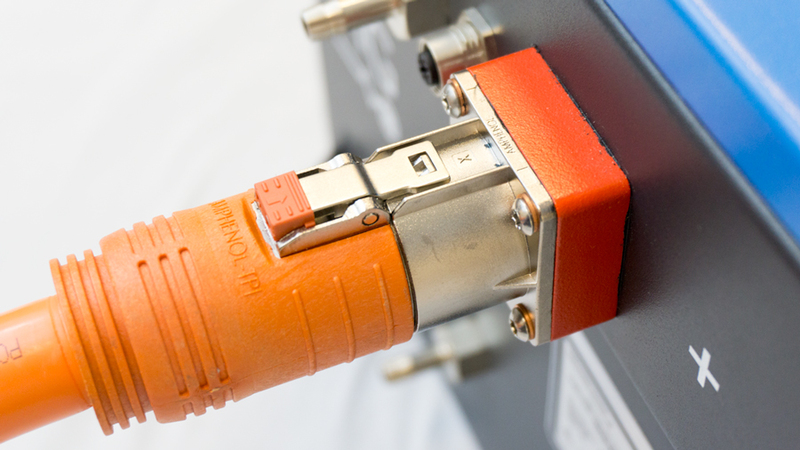 The Amphenol PowerLok connectors are robust and have an integrated HVIL (High Voltage Interlock Loop) to monitor the connection. The low contact resistance allows for current up to 500 A continuously. Critical parameters are monitored by the Master HV such as cell voltages and temperatures of each connected battery module. A set of limits is determined providing boundaries. Several boundaries are set for each of the monitored parameters. First a control boundary which controls chargers or loads. Second a warning limit and third a critical fail which opens the safety contactors interrupting the power path from the batteries to loads and chargers. A well integrated system never opens its safety contactors during normal operation. Battery system diagnostics are important during commissioning, system testing, service, maintenance and trouble shooting. The diagnostic tools provide all the detailed information about the battery system. 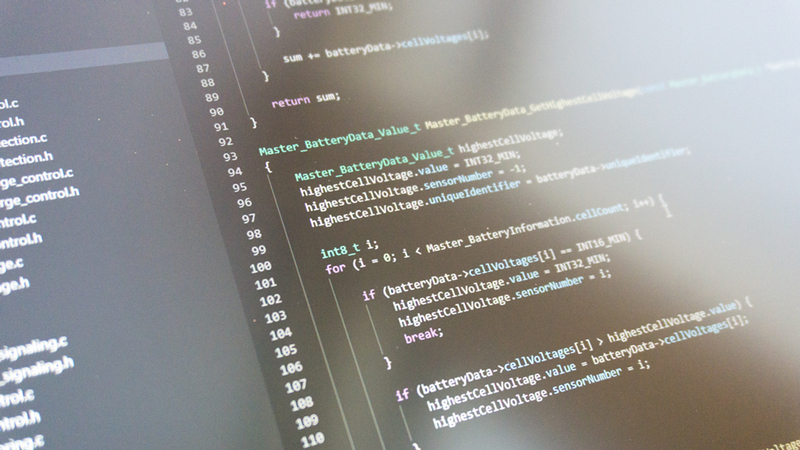 Main values, like voltage, current and State-Of-Charge, can be viewed and logged to a file. 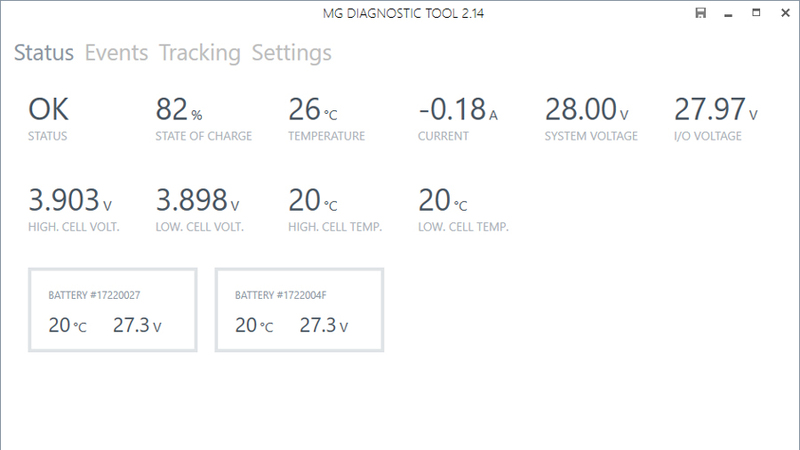 Moreover, detailed battery information can be shown, such as cell voltages, all temperature sensor, firmware version etc. Besides this information, history values and stored events can also be read from the Master. To create more flexibility, settings can be configured, for example CAN-Bus protocol selection or adding a function to a dedicated output. Solarwave 62 is the first hybrid yacht with electric propulsion to cross the Atlantic Ocean, mainly powered by the sun. Due to MG’s energy system it’s nearly self-sufficient, silent and emission-free.